It's been tough getting back to regular life since I broke my leg more than three months ago. Not only has the physical healing been a long process, but the mental toll has been pretty tough, too. It's kept me away from this blog for a long time but I'm hoping to slowly get back to crafting. 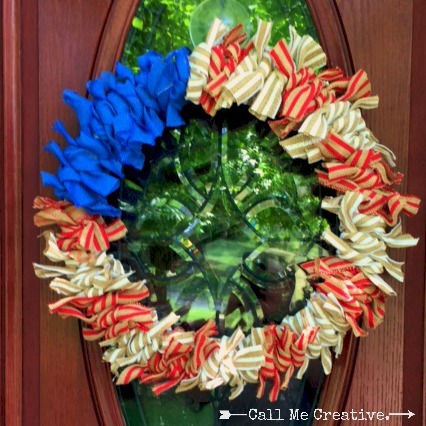 And I'm starting with this red, white and blue burlap wreath which is perfect for your summer front door. I love changing the look of my front door with the seasons, but I've never really found a wreath to hang in the summer that I've loved. Until now. This was so inexpensive and simple - two things I love in a good home decor project. Just pick up a foam wreath at your local craft store and spools of burlap ribbon. I bought three different kinds of ribbon - some with red stripes, some with white stripes and blue. I cut the ribbon into equal lengths - which I unfortunately just eyeballed and didn't measure at all. I would guess that the pieces were about 12 inches long each, but it really depends on the width of your ribbon and the look you want. 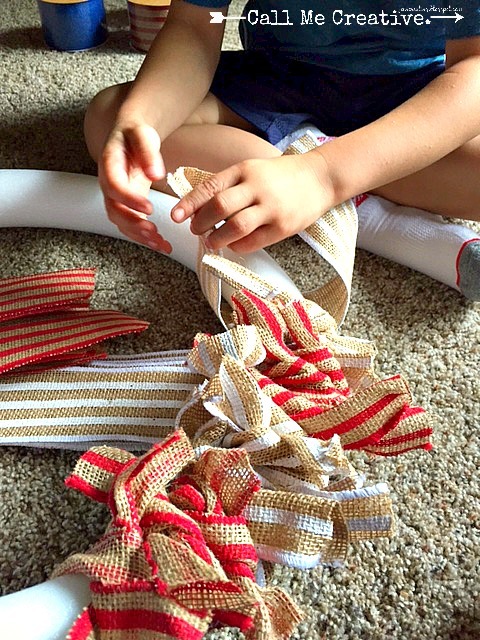 Then comes the super easy part: Tie the individual ribbons around your form. That's it. It was so easy that my 6-year-old son helped me, alternating three red, three white, etc., and then saving the blue for a little less that a fourth of the wreath. When all the ribbon was tied to the form, I went back and mushed - yes, that's the technical term - the pieces around the form so they were evenly spaced and covered the entire thing. I also cut any ribbon ends that looked too long. Check out the Confessions of a Plate Addict blog for her take on this super easy wreath. 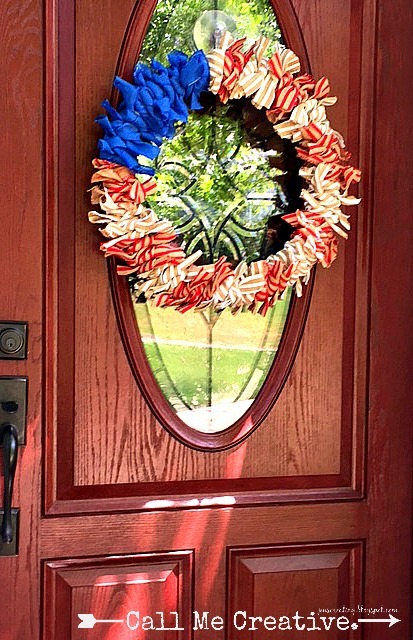 What do you like to hang on your front door in the summer? Very cute burlap wreath. I love that your son helped you make it. Pinned! This is so cute! Thanks for sharing with us at the Merry Monday link party. Hope you'll link up with us again next week! Sharing your post on Twitter! This is adorable. I love making items with unique materials. Thanks for sharing on Sunday's Best. Please join us again. 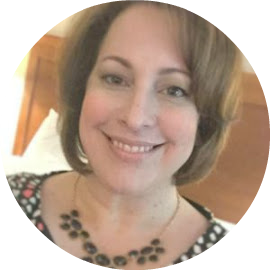 I have featured this post at this week's Merry Monday party! 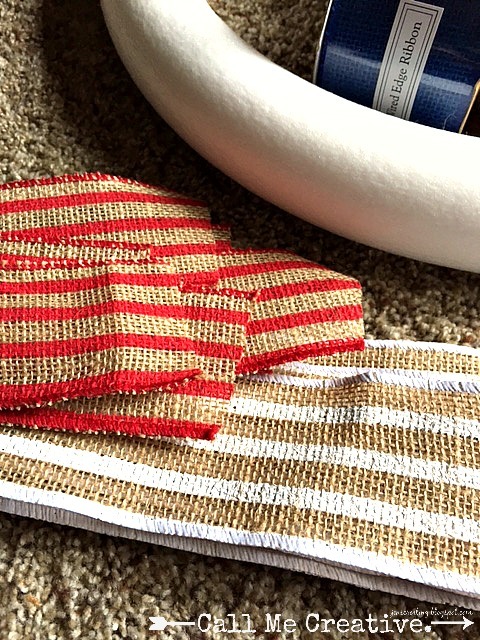 Love the striped burlap you used! Be sure to stop by and grab a Featured button! Looking forward to your newest additions to this week's party. Thank you, Shirley. And thanks for stopping by and checking out my blog!